Museums may be stealth game bread and butter – I seem to remember Doing a Mission Impossible over a laser-guarded exhibit at some point during Splinter Cell: Chaos Theory – but they’re usually fictionalised. Perhaps that’s for the sake of level design, or so’s they don’t become thief training simulators. 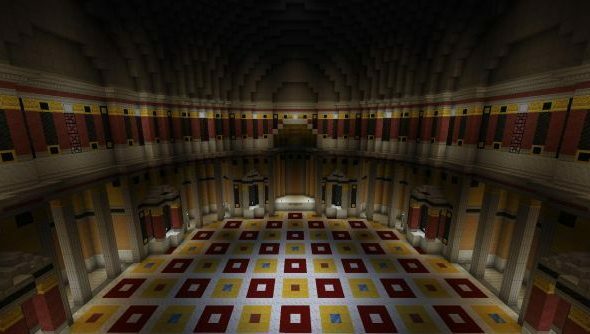 Either way, the officially-sanctioned British Museum in London in Minecraft will be the first of its kind. A blocky national institution built using its original blueprints. The project is still in its “early planning” stage – and the museum are still recruiting members of the public for the big build. Will it ascend the angular podium of the best Minecraft projects ever? The museum went straight to Minecraft Reddit to put together its crew – and was welcomed with enthusiasm. Spearheaded by an employee working on the British Museum’s public engagement initiative,Museum of the Future,the build has the backing and blueprints of the London institution behind it. Most of the work will be done at the convenience of the project’s builders – but “a couple” of sessions are planned to take place in the museum itself. The museum are planning to put together a skeletal build to begin with. After that, they’ll let the public flesh out the details – though they’re somewhat dreading the “complex” Great Court’s Ceiling. The Great Court was designed by Gherkin architect Lord Foster, and is the largest covered public space in Europe. The museum is the UK’s most popular visitor attraction – so somebody’s bound to notice if there’s a block out of place. And there’s a deadline of sorts – the museum’s Changing Public Dialogues debate scheduled for October 16. D’you think you’ll lend your pick?